The new year, and term, started on a quiet note but the Devon winter weather has got it’s act together with wind, rain and cold now making like more difficult on the farm. We have had to bring the calves in, if only to protect the pastures from damage, and there is little grass for the sheep – but our stores of last year’s fine quality hay are keeping them healthy. Our other animals have to put up with the cold and wet too so we try to keep them as dry and warm as we can. Week Beginning 26 January 2015: Ben: I liked my farm week, most of all though I liked the cows and feeding the sheep in the top field. The bit I didn’t like was the geese (they scared me). Pete and Andrea helped us get to know what to do and after that it was easy and fun. Jake H: During my week at the farm Pete and Andrea have taught me many different important jobs. This has made me think more about my future. The thing I enjoyed most was cleaning out the pigs. Although it was dirty, it was more hands on work. The worst thing was walking through the boggy mud, but this was good because I got to work in more than one weather condition, so I have experienced more. I can’t wait to do it again after Easter! My name is Owen and my experience at the farm was amazing. The best thing at the farm is collecting the eggs and feeding the chickens and ducks. The bit I didn’t like was going through water and mud. There is nothing to change about the farm because it is a good and interesting place. Joe: During my week at Abbrook Farm I have done many tasks. My favourite was feeding the sheep and the worst part was the boggy fields and mud but this taught me how to work in different weather conditions. Week beginning 23 February 2015: George: My name is George H, I enjoyed doing the farm work. Some of it was a challenge, like feeding the chickens and poop scooping but I did enjoy feeding the ducks and Crackle. It’s a shame that I didn’t get to clean the eggs because I think I would have been good at it. My time at the farm. Braden: On farm duty I fed and cleaned out the pigs, it wasn’t hard and was also fun. I also fed the chickens, geese and ducks, this was also fun. I have learnt quite a lot and would like to do it again. Week beginning 2 March 2015: Kurtis: What I enjoyed most is the sheep because it was the easiest. We learn ways to deal with and feed animals like cows, sheep, chickens, ducks and pigs. Ethan: In my week at the farm I have learnt a lot of techniques on how to feed farm animals. My favourite farm animal to feed and water would be the sheep because it is easier than the rest. Ollie: It has been a nice week at the farm, lots of opportunities to try different things. I enjoyed the sheep, they were very easy to work with. Week beginning 16 March 2015: Rob G: Farm Duty Round Up! I enjoyed my week at the farm. Over the five days at Abbrook Farm I fed the pigs, chickens, sheep and ducks. I also collected eggs from the chickens and ducks and washed and weighed them. It was interesting to find out how much different animals eat. My favourite part of the week was probably feeding Crackle. Cleaning out the cattle shed wasn’t so much fun and being bitten by a goose was a little painful but was amusing for Alfie and Jordan. I never knew how aggressive geese could be! Thanks Andrea and Pete. Alfie: I had an amazing time at Abbrook Farm. The best bit was feeding the sheep and it was a great experience to work for a week. The worst bit was feeding the pigs, my boots got covered in mud! Week beginning 23 March 2015: Annie Rose: My week at the farm was amazing, the weather was fantastic. My favourite part was to go in the pen with Crackle and the piglets because it’s cool to be able to get close to them. My least favourite part was when I had to put the geese out in the field because one of the geese was very feisty, but I got them in the field! It was a great week. Emily M: My time at the farm has been great because of feeding the pigs and the lambs, also the ewes. The weather has been great but the bad thing was when a sheep got it’s head stuck in the fence. Iyla: During my week at the farm I fed the sheep and helped Pete with the sheep. I also fed the piglets and Crackle. The thing I disliked doing was cleaning the poo out from the pigs. I enjoyed helping out Pete and Andrea too. My experience at the farm was great! Jade Y: My week at the farm was good! I enjoyed collecting the eggs from the chickens and ducks. I disliked moving the cow poo in the wheelbarrow, because it smelt! Kymara: Farm duty only lasted 2 days because of mock exams but it has been quite a handful but it was ok.
Gabe W: The first and worst thing that I had to do was clean out the pigs, that was the worst because they stink really bad! The best thing I did at the farm was feeding, that was best because it was really funny trying to run away from her. Tom B: I loved every part of farm duty plus I didn’t dislike a thing especially the chickens and Crackle. Week Beginning 27 April: Owen: I had another great time at the farm. The things I did at the farm is cleaning pigs, feeding sheep, getting chicken eggs. My best thing to do at the farm is to feed the sheep and the thing I didn’t like the most is the chickens, because they chase you! Ben P: I enjoyed my time at the farm again, the best parts were the pigs, all the little piglets biting your boots. The worst part – feeding and collecting the chicken eggs, they were just trying to eat us!! Jake H: Once again, I have enjoyed my time at the farm! The best part was cleaning out the pigs because the piglets are interested in you and they nibble your feet. I also fed the ducks, chickens and geese, which was fun because they chase you because they are waiting for their breakfast. I think the farm could be improved by adding something like concrete walkways just to make it a bit more safer when moving animals. I look forward to working on the farm in my future science lessons. Week beginning 11 May: Kyle W: What I liked at the farm was feeding Crackle because when you go over there she opens up her mouth and you can chuck food in her mouth and then on the floor. I also liked feeding the little lamb with the bottle. I didn’t like watering the potatoes because it was boring and you had to go back and forwards loads of time to get water. Ben S: My favourite bit about the farm was marking the eggs because it was interesting seeing about their weight. However, I did not like going to collect the eggs as the poultry were very vicious! I also liked mucking out and feeding the pigs because I liked getting close to the pigs. Overall, it was an amazing week! Keelan H: I enjoyed feeding Crackle as she opened her mouth looking for food, I also enjoyed it when Spot (the bottle fed lamb), escaped her pen and said hello (looking for her bottle). Week beginning 18 May: George H: I fed most of the animals like the pigs and the sheep and rabbit but the only thing I would say is you should put a wooden plank under the sheep gate so the lamb doesn’t get out. I enjoyed most of it apart from cleaning out the pigs. Luke: The farm is very enjoyable and I like a lot of the things we do. There is nothing I don’t enjoy. Braden: I enjoyed working at the farm. I fed the pigs, chickens, ducks, sheep, guinea pig and the rabbit. I also gave the sheep, guinea pig and rabbit some water. I also collected the chicken and duck eggs and cleaned them out. The last thing I did was clean out the pig pen. Week beginning 1 June: Gabe: At the farm I washed the duck and chicken eggs which wasn’t fun but when I was feeding the sheep and pigs I thought it was good. Tom: At the farm I had a great time, but the best bit was to feed the lamb, spot. Kieran: At the farm I have done the chickens and the pigs.. I fed both of them and I put some water into the troughs. The bad thing, I did not like was the geese! Week beginning 8 June: Kurtis: I enjoyed the farm learning to feed the pigs 12kg of food and good weather over the week. Ethan: I enjoyed it at the farm. My favourite part was feeding the chickens because it was a nice day and it was easy to do. Ollie: I enjoyed my experience at the farm. It was a bonus that the weather has been lovely. Week beginning 22 June: Ronnie A: At the farm I enjoyed feeding all of the animals. I like lifting the pig houses up but I didn’t like cleaning the eggs. Samuel K: The farm is amazing. It has loads of animals to look after. When I am at the farm I am always having fun. The best bit is the pigs! Jake S: What I enjoyed? 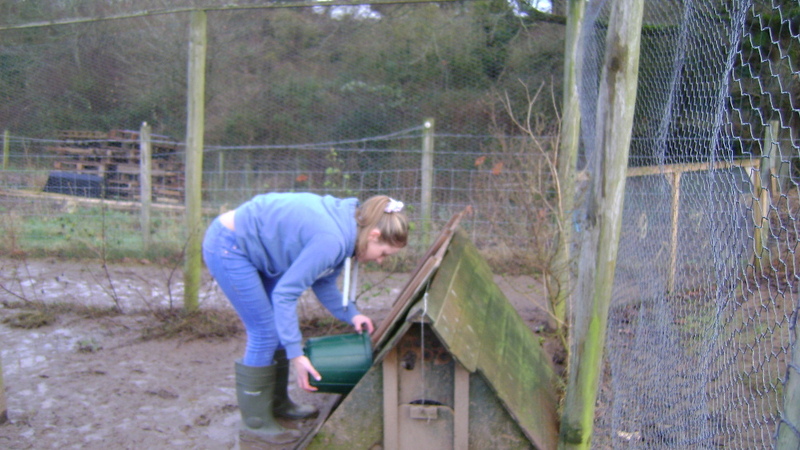 I enjoyed looking after the small animals – rabbit, ducklings and feeding the pigs. What I didn’t enjoy! Leaving. We need more time to do the jobs that need doing such as dung pile and packing away.